Choosing the Perfect Water Feature for Your Yard - Aquascape, Inc. Interested in testing the waters of owning a pond? 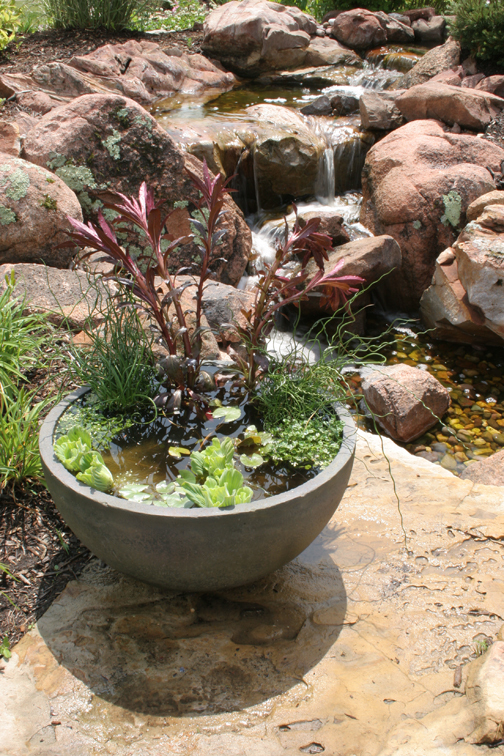 A container water garden is a great place to start! Patio Ponds can be placed anywhere and allow you the opportunity to enjoy small fish and aquatic plants. Add a small fountain and you’ll enjoy the added benefit of the soothing sound of water! A patio pond is easily assembled in no time and provides unique beauty for you to enjoy.